The government plans to prepare incentives and the ground to shore up solar energy generation from photovoltaic power stations to solar panels on rooftops to accelerate the shift from fossil fuels to renewables, a senior energy official said. “The Energy Ministry is drawing up programs to encourage both companies and households to generate their own solar power with a minimum capital investment,” Mohammad Sadeqzadeh, the head of the Renewable Energy Organization of Iran (aka Satba), was also quoted as saying by ILNA on Monday. Individuals and private entities can invest a small amount of 50 million rials ($1,100) to build their own 1-kilowatt power generation facilities. Noting that each household uses 2.5 kWh of electricity on average, the official said that with a 250-million rial ($5,500) investment, people can generate 5-kWh and sell the excess to the national power grid. According to Satba chief, the ministry guarantees the purchase of electricity generated by all renewable sources for a period of 20 years. Clients will have their excess electricity offset against future consumption and receive cash payments by the authority each month. According to Sadeqzadeh, the government has prepared the ground to facilitate private sector investment. “Individuals can submit applications to local electricity distribution companies … The establishment of such equipment takes less than two days,” he said. Low maintenance fees and bank loans are among other factors that can help attract clients to invest on renewables. The country’s installed electricity capacity amounts to 77 GW. The lion’s share of power is produced with the help of fossil fuel-based power plants, yet the share of renewables in Iran’s energy mix is as low as 500 MW. 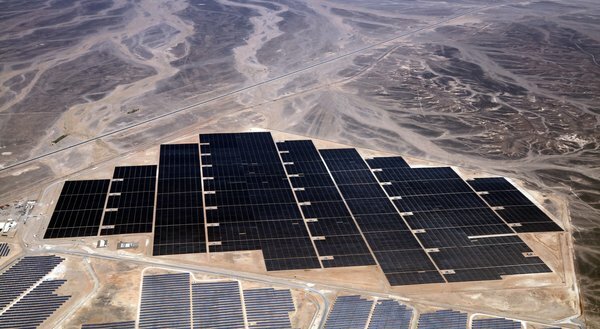 The solar venture is an important stepping stone in Iran’s clean energy program to add at least 1,000 megawatts, or 1 GW, to total power generating capacity each year through 2022 to give renewables a 5% growth in the country’s power grid. Although only half the outlined plan has been fulfilled during the first year, Sadeqzadeh said the target is looking increasingly feasible, thanks to the launch of several solar plants in recent months as well as a slew of factories for manufacturing photovoltaic panels. According to Satba, close to 1.8 billion kilowatt/hours of electricity have been generated from renewable sources since June 2009.